Whether you're building a home or buying one, house plans can come in handy! House plans can show you things that you otherwise wouldn't know about your home. Our home experts explain what you should look for in a set of house plans, how to use them to identify load bearing walls, and mistakes to avoid when having house plans drawn up. Want to see what it’s like living in a house with RV garage? Browse through the RV garage homes in these RV communities! 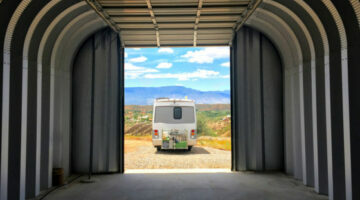 RV retirement communities that have homes with RV garage plans are popular among those who want to incorporate their lifelong dreams of being a road warrior while still having a permanent home base. Don’t act impulsively when remodeling! If you start demolishing a load bearing wall, you’ll pay dearly to replace it. Here’s how to identify load bearing walls inside your home. Looking for the ideal floor plan for your home? 5 common mistakes you want to avoid and tips you should consider when planning the layout of your new home. What Are The Top Selling House Plans? These best-selling house plans have a lot in store for today’s home buyers. One-story plans are beginning to take over and higher square footage house plans are interesting to note. Feature-laden plans are the norm for 2009. Frank Betz house plans offer many convenient features at an affordable price. This craftsman style plan squeezes a lot of house under a moderate footprint. 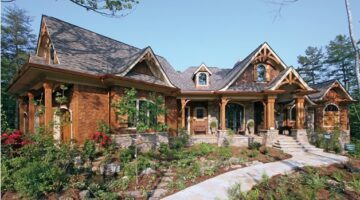 Looking for a craftsman style home plan in thriving Paulding County, Georgia? Summerlyn should make your list of potential neighborhoods to call home. Be careful when making your water closet floor plans. Give it a lot of thought before you implement and don’t make this mistake. Use this Online Search Form to search home plans. It’s free & easy!… Just choose the style, size, and amenities that you would like in your new home and see all of the house plans that match your selection. Simply browse through the list until you find the floorplan you like best. A Master Bath Floor Plan Worthy Of …Monty Hall??? A cool looking master bathroom floor plan with pedestal sinks, tiled shower and garden tub plus a water closet. What more could you want in a lavatory? There are a lot of really cool rv garage plans available online to check out. There are detached garages, and carports, and now where the rv garage doors are right alongside the car-sized garage doors. I’ve seen plenty of detached RV garages and carports but never a home where it was part of the home itself. Check out all of the options rv owners now have! Craftsman-style multifamily home plans are what’s in store for you if you buy a home in Hiram Park subdivision in Hiram, GA. They are basically single family dwellings that share a wall, or two, but have all of the features of a regular home. You had better know the true meaning of Love Thy Neighbor or you may find yourself moving on.